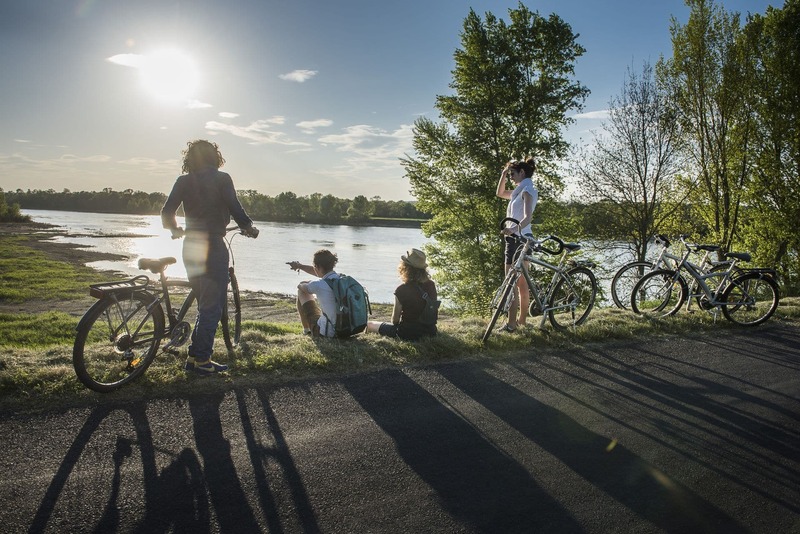 Our tips for organising your La Loire à Vélo holiday! Summer’s on its way and it’s time for a holiday: we have just the thing here at La Loire à Vélo! Below you will find advice for planning your cycling tour so you can head off in full peace of mind and make the most of your holiday. In collaboration with France Vélo Tourisme, the special 2017 issue of the famous Routard is an excellent guidebook. It includes 192 pages of detailed maps, services and locations which shouldn’t be missed. It’s the ultimate guide for travellers! Produced by Michel Bonduelle, this 167-page guidebook, published in 2010, is a benchmark. Bonduelle provides you with no less than 45 maps which perfectly illustrate the 18 stages of his journey, as well as giving you loads of great advice. The anecdotes are definitely worth reading and will give you interesting little details that you might not have noticed along your journey. How can you talk about La Loire à Vélo guidebooks without mentioning this one by Olivier Scagnetti? Complete and detailed, it’s faultless! Its 128 pages contain essential information and great places to go. There are also lots of detailed maps to help guide the traveller inside you! If you plan to do a cycling holiday with La Loire à Vélo, you can get these guidebooks online, in bookshops or even in some Tourist Offices along the way. Organising a cycling holiday can quickly become complicated and time-consuming. This is when the La Loire à Vélo website comes in handy. On the homepage there is a search engine which will help you easily find what you’re looking for! You can search availability for accommodation, activities, and restaurants corresponding to your dates of arrival and departure. Many establishments carry the “Accueil Vélo” brand which means that they provide the best conditions possible to make life easier for you and your bike. For example, you could sleep at La Caillère inn (Candé-Sur-Beuvron), take a break when you pass through Lion d’Or (Amboise), then visit the Chateau of Clos-Lucé (Amboise) before leaving again on your bike. The possibilities are endless and depend only on what you want to do. The website not only helps you find these points of interest, but also lets you book online. Ideal for organising your biking holiday hassle free. La Loire à Vélo services: less hassle, more fun! To help you organise your bike trip, La Loire à Vélo offers many services, so why not take advantage of them? They will definitely make your trip a lot easier! Your peace of mind will be assured. Below, you will find some examples of what is on offer. You can download the La Loire à Vélo route by simply clicking “Map” on the top menu. To ensure that the map will always be with you, just click on the little map below the key to start the download. The KML file will run automatically, so you just need to import it to an application of your choice (Umap, Google Maps, etc.). It’s never been easier to travel by bike on one of the most famous routes in France, and you won’t miss a thing! It’s better to travel light and to be honest, cycling with lots of luggage is not great! But at La Loire à Vélo, we do everything possible to allow you to fully enjoy your cycling trip. We can transfer excess luggage and bikes (or even people!) so they are waiting for you at one of your destinations and you don’t have to miss anything. You can find the different offers by using our search engine and selecting “Bike Services” and then choosing “Transfer” from the drop-down menu. Also available in this search engine is a tool to find bike hire companies and/or bike repairers. No need to come with your own bike or toolkit. You will find many professionals on your route who can help to ensure a smooth and successful bike trip!